Ever wondered what the Fat Burning Zone really is? You may have seen this Heart Rate Graph above while training on the treadmill or stationary bike at the gym. Is that how the body really works? Here’s a few things you should know about the ‘fat burning zone’ that will help you answer that questions. When you work out in the ‘fat burning zone’, 45-65% of you max heart rate, you do tend to use more fat for fuel but you’re burning less calories overall. Weight loss (or fat loss) comes down to burning more calories than you consume (eat). It doesn’t matter if you’re burning those calories from fat, protein or carbs. So if you can burn more calories per minute by exercising at a higher heart rate, would it make more sense to work out in a higher training zone instead? In general, the answer is yes. At higher heart rates you burn more calories (and more fat) increasing the rate at which you lose weight. 2. The more efficient you are the less calories you burn. Fat burning zone training is often times called long endurance training because it allows you to train for longer periods of time. So you’re preparing for a marathon, running many miles per week, you’re going to start to improve your running technique and the body will start to adapt to the demands of the training. This adaptation allows you to be more efficient and perform better, exactly what you want with performance related goals. But if you have fat loss or weight loss goals, you don’t want to become more efficient because you’ll end up burning less calories per workout. Now you’re going to have to run longer (or faster) to burn the same amount of calories. 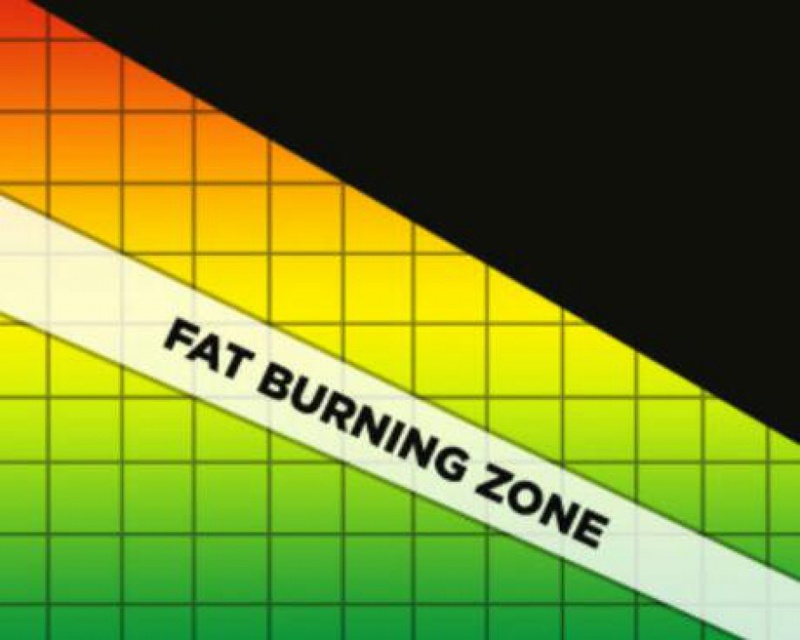 It’s far more likely that you’re going to get efficient when training in the fat burning zone. 3. Long endurance training can compromise muscle and lower your metabolic rate. Doing long endurance ‘fat burning zone’ training doesn’t stimulate muscle growth. In fact, it can make your muscles smaller slowing down your metabolism. How important is muscle mass to your fat loss efforts? Your metabolic rate hinges upon how much lean muscle you have and how often you are training those muscles. That’s because your body uses a tremendous amount of energy (calories) to build and maintain your muscle tissue even while you sleep. At this point you’re probably thinking the ‘fat burning zone’ has no place in your or anyone’s training program. Like any tool, it just needs to be applied correctly. 1. Take short walks of 30-60 min on daily basis. This can improve your health and overall well being. First thing in the morning is recommended. 2. Once a week, go out for a long hike, jog or bike ride. It’s really important to train the body to exercise for hours at a time because along with improving health, increasing work capacity is something we all should strive for. 3. If you’re preparing for a an aesthetic event (fitness or body-building) or have severely restricted your calorie intake then this may be the only zone you can effectively work out in. 4. If you’re just starting out with an exercise program the fat burning zone is a great place to build up your cardiovascular foundation. 5. After training at high intensities for long periods of time we all need light days to rest and recover. See number 1. If you follow these recommendations you can use the fat burning zone to get the specific results you want and keep your muscle and metabolic rate at the same time. If you have any questions on heart rate or endurance training please feel free to contact me at 719-640-0141 or email me at info@precisionfitnesstrainer.com. 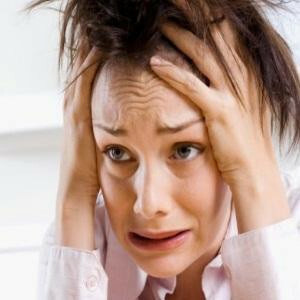 Do you ever think about, worry about, get frustrated over, or constantly obsess about food and calories? Are you tracking every morsel you eat, every calorie you burn? Are you engaged in a full out battle to lose weight? Does it ever feel overwhelming and make you just want to pull your hair out? Before you do anything too drastic let me offer you a different option. For many dieters, counting calories is the method of choice. We are taught that it’s all about calories in versus calories out. That If you eat less than you burn you lose weight. It’s that simple and it works just about every time. The idea of tracking calories to lose weight is an easy one to understand yet it’s difficult to execute. If you’ve tracked calories before then you know exactly what I mean; it’s easy for the first few days or weeks then it just becomes down right tedious. So what are you to do? You can’t forget about the whole idea and go back to eating the way you did before. That’s what caused the weight gain in the first place. We have to track something but it doesn’t always have to be calories, especially if the process of tracking everything you eat and drink makes you feel a bit obsessive and compulsive. There are a few situations where tracking calories becomes very helpful but it may not be right for you, right now. Look at why you eat those extra calories in the first place. I’m not talking about the cravings and desires to indulge in the double chocolate cake with brown sugar coconut frosting, we all would love a slice of that. What I’m talking about is what controls HOW we eat the majority of the time, much more than we like to give it credit. I’m talking about tracking your habits. Habits are what we do by default. They are the behaviors that we do naturally and automatically, like brushing our teeth and eating breakfast (or skipping it). Be careful what you repeatedly do because your behaviors good or bad soon become habits. There’s a lot of power contained in a habit which is why we really can’t ignore them. I’ve always said that our day is a collection of the many habits we’ve accumulated over the years. Behaviors become habits because it frees up our mind to work and concentrate on higher functioning tasks like closing the big deal or presenting your proposal to a potential client. By creating habits you can do the mundane tasks and dedicate more of your brain power to create or solve bigger problems. That’s why the way eat so easily becomes a habit. It’s something we repeatedly do and it easier to eat out of convenience or taste. It’s easy to pick up fast food, skip breakfast, stock our shelves with processed foods, drinking soda, eat out at restaurants, etc. The problem is if we do these behaviors long enough they become habits. Are you at the mercy of your habits? Doomed to track calories every day for the rest of your life? I wrote about creating healthy habits a couple of years ago. You can check out the full article here. Here’s a quick summary of how to change your habits so you can get back the control you want for your weight loss goals. 1. Start with one. 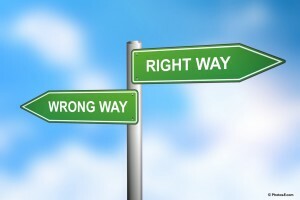 Be aware of your habits and pick one that you want to permanently change. Just one. 2. Anchor it to an existing habit. It’s much easier to create a new habit when it has an old one to anchor to. 3. Track it. Track your habit every day. Use an notebook or calendar and write it down. There’s also great apps, like Lift, that will help you adopt a new habit. 4. Get an accountability partner or coach. Publicly announcing your habit and having someone to hold you accountable increases your chances for success. By tracking your habits you don’t have to track your calories and you get to keep your full set of hair. You also get back the control to eat well and replace bad habits with good ones, which results in managing your calories. It’s like putting your weight loss efforts on cruise control. Your good eating habits will always be there for you. But this time they’ll help you reach your goals. You’ll eat healthy when faced with stress, travel and any other obstacle that comes your way. Just remember it’s a process and it’s going to take time. Changing one habit at a time is a slower method but you greatly increase your chance of success and you get to keep the results forever. Ready to end the frustration by building healthy habits? I am a Certified Nutritional Coach and can help you make the healthy lifestyle changes you need to reach your goals. Contact me at 719-640-014 or info@precisionfitnesstrainer.com to schedule a free consultation. Hey, I’m a little biased. I admit it. But there’s a reason I’ve been a Certified Strength and Conditioning Specialist for over 10 years. There’s a reason “strength” is in the name of the certification that I hold. There’s a reason it’s the base of every exercise program I create with my personal and small group training clients. It’s because resistance training is both time efficient and extremely effective. If you’re going to spend your limited time working out or spend your hard earned money on a gym membership don’t you want the best results for your investment? Of course you do. You want the biggest bang for your buck. Resistance training is crucial element to moving better, feeling stronger and looking younger. The outcome of resistance training is bigger, stronger and faster muscles. Those bulging muscles not only help you look great but they also make you feel strong, confident and provide you the ability to function at higher levels, even if it’s only in your daily activities. Here’s the kicker. 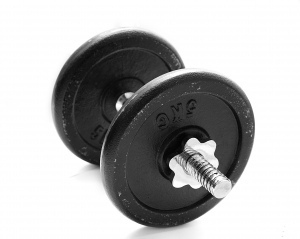 Without resistance training, your muscles will atrophy by becoming smaller and weaker. If your training program isn’t focused on building muscle, chances are you’re likely losing it. And if you are 30 years old or older, you are definitely losing muscle, unless you are training hard to build it. Beginning in our 30’s, muscle mass is slowly lost every decade which decreases our strength, energy and metabolism. That’s the bad news. The good news, any one can start a resistance training program, no matter the age, the body type, or the experience. It doesn’t matter. With so many different types of resistance training programs and exercises available, you’re bound to find one that fits your current fitness level. And when you do, you’ll not only hold off muscle atrophy as you age, you’ll gain a host of other benefits too. • Prevents muscle loss and begins the muscle building process. • Makes daily activities easier. • Improves balance and coordination. • Builds muscles which will burn more calories, even while resting. • Decreases blood sugar. Muscles use sugar to perform their job. This helps to balance and maintain healthy sugar levels. • Improves your aerobic capacity. • Improves your athletic ability. • Raises your energy level. The more strength you have the less effort you exert and the more energy you’ll have available. • Increases protection against falls and fractures. • Burns more calories after exercise than you would with cardio training. These are some of the important physical benefits of resistance. As if this wasn’t enough to make you want to go out and lift some iron, there’s more. 1. Improved confidence. Resistance training builds strength and muscles. With improved strength gives you the confidence to participate in the activities that mean so much to you. 2. Resilience. Over time resistance training builds resilience by conditioning your body and mind to work hard and push your limits over and over again. 3. Bouncing back after failure. The challenge of lifting a weight you couldn’t imagine lifting a few months ago is real. You learn to give your all without hesitation and you may not succeed. Through resistance training, you learn that even though you’ve failed today you’ll be back to try it again tomorrow. You’ll go back to your training program and within a few months, you’ll manage to succeed where you have previously failed. So if you’re thinking of starting an exercise program or you don’t feel like your building the athletic, strong body and mind that you want, start a resistance training program today. Place the emphasis where it should be, where you’re going to net the biggest return for your time and effort. Start building up your strength with resistance training today. If you have more questions please feel free to give me a call (719) 640-0141 or write me a quick email info@precisionfitnesstrainer.com. I’ll be happy to help out in anyway that I can. Why is knowing your purpose so important? Purpose is where passion meets action. 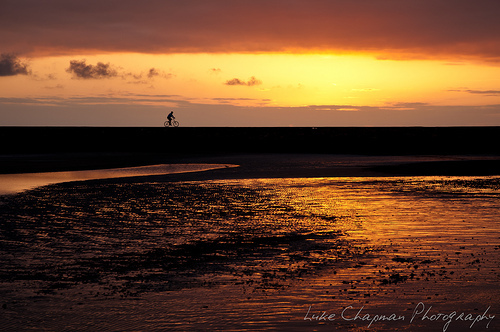 It’s the reason to get up in the morning and make the most of everyday. Purpose can provide you the fuel to complete major projects, to start a business, or to transform your mind and your body. In my experience, a purpose allows my clients to accomplish so much more than losing 10 pounds, running a faster mile or getting stronger. Their purpose was like a calling, compelling them to move forward even when times were difficult. It was as if they were working towards something bigger than the current goal at hand. Let’s look at why that is. A definition of Pur – pose – 1. the reason for which something is done or created or for which something exists. It’s the reasons ‘why’ you want to accomplish your goal that holds true power. It’s almost like having a purpose provides the unwavering belief in a cause that’s bigger than your current self. Here are three specific reasons why having a purpose can be so powerful. 1. It aligns your actions. You can work hard, burn the candle at both ends and push yourself to accomplish more. Yet, what happens when the results don’t align with your purpose? You’ll still feel like something is missing. Having a purpose ensures that the work you do, is work that’s most important to you and leaves you with a sense of not only accomplishment but of fulfillment as well. 2. It provides the fuel. It takes a tremendous amount of energy to start something new. A new exercise program or even changing one healthy habit is going to take a lot of work especially in the beginning. Knowing your purpose allows you to focus your energy in the right place when you need it most and helps you get past the rough times. And there are always rough times. Plateaus, fatigue and frustration are all part of the process. They are the price paid to accomplish your goals. 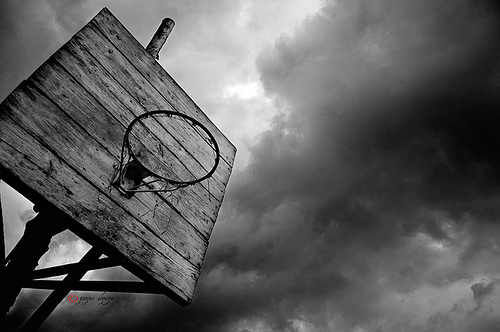 Just remember your purpose every time you’re ready to throw in the towel and quit. 3. It provides the road map. Blindly setting goals (because we’re told to) isn’t enough. I’ve worked with many clients who didn’t have a clear purpose. As a result, they had difficulty reaching their goal, even when they were great goals. Their reason ‘why’ just wasn’t strong enough and they eventually stopped training because of lack of results. Set goals that bring you closer to your purpose. If your purpose is to get off your medications because you want to be healthiest you, you can be. Then a good place to start is being active for 30 minutes every single day. Once you’ve accomplished that goal, you create a second one that takes you one step closer to your purpose. Your purpose will continue to guide you for each goal that you set. Take some time and create your purpose today, discover what’s most important to you and why. Then realign your goals so that they sequentially bring you closer and closer to what you want to achieve. During the warm up portion of a training session, I was speaking to my client about my son trying out for the basketball team. My client, being a basketball player in his college days, suggested having my son work on improving just one aspect at a time when practicing, like taking shots from the free throw line. If he only makes 5 out of 10 shots, let him practice and see if he can get 6 out of 10. When he succeeds at this goal, it will provide him a sense of accomplishment and progress. This approach to improving one task at a time will give him something to focus on and prevent him from feeling overwhelmed. I didn’t realize it at the time but what my client shared was a very powerful principle, called the 1% rule. It’s a principle that can help many achieve their goals not only in fitness but in life. The 1% rule is a logical approach to making progress. Instead of focusing on a long term goal, you narrow your focus to one aspect and improve it by the smallest of amounts. It’s a simple concept and when applied correctly, it can have a powerful impact on your fitness program. By keeping your focus on the process of improving, not on the end results, you’ll put your time and energy where it is most needed. A martial arts saying embodies this concept, “We are measured by our results but our results are made by the process”. As an example, we may want to lose 5 pounds a week or improve our bench press by 20 pounds but it doesn’t happen by forcefully reaching for your goal a few times. It only happens when you consistently work the process and focus on making small improvements over time. By doing so, it eliminates pressure of perfection and the stress of expectation often associated with fitness programs. It’s easy to lose your enthusiasm when you don’t get the results you want, when you want them. By rushing and not recognizing the step by step process, we think we are failing. If one can change the thought process from the end result to succeeding at one action at a time, one can understand the fitness goal is the culmination of all the completed small actions. Working the process is success in itself because you walk away from every situation improving. It’s important when you set out on achieving a big goal that you get some small wins under your belt. If it’s going to take you a year or two to reach your goal and you don’t get any feed back or positive affirmation then it’s going to be difficult to continue. That’s where the 1% rule comes in. These small improvements become your daily wins. Collecting your daily wins can improve your confidence, restore your enthusiasm and provide that much needed boost of motivation that you’ll need to continue making progress. Pin point a specific technique or habit that you want to improve. Identify exactly how you can make it better. It can be something small, like focusing on your exercise technique or it can simply be using 1-2 extra pounds on an exercise. No matter what you decide to improve, keep your focus on that one aspect. Repeat this process every time you train. Now it’s time to take action. Focus on improving by 1% everyday and you’ll start accumulating daily wins, it will have a snow ball effect that will carry you on to your ultimate goal. Get to it. Do you make any of these mistakes in your weight loss program? A lot of people start a diet with good intentions. The weight comes off fast the first couple of weeks only to see their progress slow down to a snails pace soon after. Frustration sets in and no matter how hard they try, they give up on the program all together. Don’t let this happen to you, check out three common weight loss mistakes and discover what you can do to avoid them. Mistake # 1 – Following a program that’s not designed for you. A steady diet of grilled chicken, steamed brown rice and broccoli could get you great results but is it the right diet for you? The answer to that question depends on where you are currently with your dietary habits. 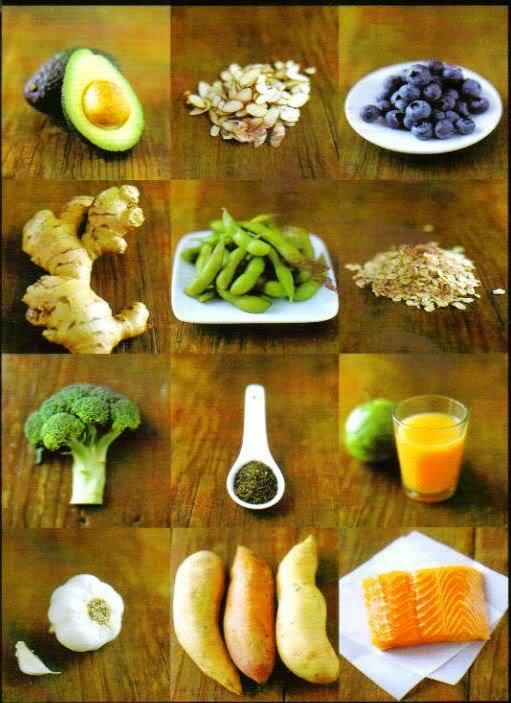 Do you eat healthy, natural whole foods on a regular basis? Or do you tend to eat fast or processed food? Making a change requires a tremendous amount of time and energy and the bigger the change the more it requires. Do this instead. Start at where you are now and make one small habit change at a time. Allow yourself a full 30 days to accomplish this change. Read this article on the best way to create a new healthy habit. Mistake # 2 – Focusing on just the weight. Of course you want results but if you focus strictly on the weight loss you’re not going to be happy, regardless of how many pounds you lose. There needs to be a shift in your focus. Weight loss by itself is never enough to make a permanent change. It can provide motivation in the short term but for long term success you’re going to need more. Do this. Instead of being weight loss driven, focus on something bigger. As an example, setting a goal to enter and finish a marathon. This will not only provide you both the short term and long term motivation needed to exercise it will also help you lose the weight. Mistake # 3 – Trying to be perfect. Trying to be perfect can put a lot of extra pressure on you, especially when you consider how restrictive diets can be. Even if you can manage to be perfect for a little while, will power can work for only so long before it breaks. Do this instead. Use the 90/10 rule. Stay true to your nutrition program 90% of the time. There is a small difference in results between being perfect and allowing your self some of the foods you enjoy. The other 10% (usually 2-3 meals per week) eat a small serving of food that isn’t so diet friendly. By using this method you can eat the foods you enjoy and you’re more likely to stick with your program. If you’re making any of these weight loss mistakes give the suggested action plans a try. Avoid trying to be perfect, work only on one habit at a time and make sure to set a big goal that will provide you with both short term and long term motivation. Before you figure out if the newest diet craze works or if its even a good fit for you, before you pore over testimonials, discuss it with friends and family, or even strangers on forums, ask yourself this one question first. Good nutrition meets the following three essential criteria and it meets all three, every time. Good nutrition will never ever sacrifice your health in order to lose weight or achieve low levels of body fat. This is a big one here. The premise of most diets is to lose weight at an extremely fast rate. The need to achieve extreme results can put your health at risk. How can you tell if a nutrition program is putting your health at risk? If your program is either inclusive or too much of one thing (the cabbage diet) or it excludes entire food groups altogether, like carbohydrates, (Atkins Diet) then it’s likely to be detrimental to you health. No one food item can provide your body with all the essential nutrients your body needs to thrive. It’s important to closely examine every nutrition plan to make sure it fortifies your health. Don’t sacrifice your health in order to lose a few pounds, it’s not worth it. A good nutrition program provides all the fuel you need to be your best. Whether on the field or in the gym a solid nutrition program supports your activities by providing the energy you need to train and perform. One of the common traits that you’ll find with many diets is that they often recommend low calorie intake. The lower calorie intake may help you lose weight but with out enough energy to exercise you’re going to see a decrease in your performance and fitness levels. This will ultimately result in lower metabolism and lean muscle mass adversely effecting your performance even further. A good nutrition program will hep you meet your energy requirements and provide you with the right amount of protein, carbs, and essential fats you need to help you recover from your exercise sessions and athletic events. Not that results are the primary focus of a nutrition program but achieving a healthy body weight and body fat level is important to all of us. It’s not the you have to look like a fitness model or cut down to a low body fat percentage only seen in body builders or other physique athletes but we all need to keep our waistline and body fat percentage in check. That’s because body fat percentage and waistline correlates with health and longevity. The higher your body fat percentage the greater your chance of acquiring health problems. Your nutrition program should keep these levels in check and have the ability to improve them if needed. This information can now be used as a litmus test for you and your nutrition plan. Ask yourself does your program fortify your health, support your performance and get you the results you’re looking for? If you answer yes to all three, then your program has passed with flying colors. You know what good nutrition is all about. If your program didn’t do so well and you need more help with your nutrition program, please contact me at 719-640-0141 or email me at info@precisionfitnesstrainer.com. As a certified nutrition coach I can assist you in finding a good nutrition program appropriate for you or simply answer any questions that you may have. 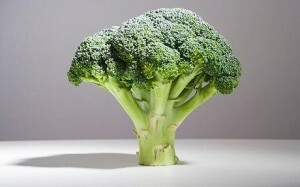 Can Broccoli Make You Fat? I was recently asked a question about weight loss. I then shared a few words about calorie balance. If we eat more calories than we burn in a day, we end up gaining weight. It works in reverse too. If we eat fewer calories than we are burning each day, then we put our bodies into a weight loss scenario. Peanuts are a good snack in moderation and so are strawberries. You can do much worse than those two foods when it comes to eating snacks. I then asked my client what prompted her to ask such a question. She said she read it in a diet book written by a celebrity trainer. In the book the trainer lists several items that you shouldn’t eat because they interfere with the weight loss process. That’s when I said half-jockingly, “Next thing we’ll hear is that broccoli will make you fat”. She responded with “Yes, that’s on the list too”. You can imagine the look of shock on my face. This conversation prompted me to do some research. There’s a list of food items that contain a substance called Goitrogen. This naturally occuring substance is found in soy bean related products as well as cruciferous vegetables. It’s also found in other foods like strawberries, peaches, spinach, peanuts and millet. Here’s the quick low down on Goitrogens. If you have a Thyroid problem (diagnosed and treated by your physician) then these types of food items can interfere with the your Thyroid function. 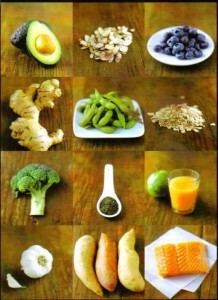 If you have a Thyroid problem you should avoid these foods as they can make it even more difficult to lose weight. As a reminder, when you have a medical condition, you should always consult with your physician or dietician when making any dietary adjustments. There is no evidence that these foods have any negative effect on your weight or health when you don’t have a Thyroid problem. In fact it’s just the opposite. These food items add much to your health and fitness with the nutrients provided. The take home message is to be careful with what you read and the advice you follow. It’s easy to hear, read or see information that may sound relevant but it may not apply to you. Ask yourself do these recommendations actually apply to my situation? Are they making general recommendations designed only for specific individuals? Or is it just marketing and hype to sell a book or another product? As you can guess, celebrity trainers can have a big influence on many people. They have a lot of clout. They look great, the’re on TV, and when they say something it’s easy for us to want to follow their advice. Yet, we have to pause and ask those important questions no matter how new, exciting or relevant the advice may seem. Does this really apply to me and my situation? Are you exercising inside or outside of the box? I ask because our modern way of living affords us many luxuries and comforts. The chair is one of them. That comfortable chair we use to eat, drive and work can also become the “box” that limits our movements and the ability for our body to sustain health. After all, life is movement. Any time we limit our movement, we begin to lose what’s so inherently programmed into our body, a program that allows us to excel in our environment, for health, survival and performance reasons. Movement is deeply rooted in our nervous system and allows us to maneuver in an endless variety of ways ; we can run, jump, climb, pull, throw and push and do so in unlimited combinations. Our muscles were designed to lift heavy objects, to hang from bars, to climb trees and propel ourselves over walls. Our bodies were created to act and express ourselves as fully functioning human beings. Yet, how do we express our movements today? Modern living has squeezed us into a proverbial box. That’s the bad news. We sit all day – while we eat, drive to work, at work, and when at home on the computer or TV. The scary thing is the body’s remarkable ability to adapt to its surroundings. Put our body in a box (sit all day) and it slowly molds itself to the sitting posture. You can imagine how difficult it is to move the body once it has adapted to that limited position as it now becomes the norm. Once the boxed posture sets in, you begin to look much older and your joints take the brunt of the work causing unnecessary aches and pains. Here’s the good news, you don’t have to be limited. You can choose to venture outside of the box and mold yourself into a healthy, youthful, strong and fully capable moving force. Follow these three steps and you’ll never look or feel boxed in again. Repeating the same movement over and over again, whether at work or at play, is like driving the fast lane towards limited movement city. In a work environment, it’s called repetitive stress injury, where a small movement is constantly performed and over time creates an imbalance in the body. The imbalance eventually expresses itself as chronic inflammation and pain. This can be seen in the exercise arena as well. Here it’s called movement pattern overload. If, for example, I train the “Show me” muscles of the chest and arms to the extent of creating an imbalance with my back muscles, it will soon limit my capacity to move my shoulder. This type of pattern overload can expose the shoulders to injury due to the altering of its optimal position. This can happen for any activity that we do, even if it’s just sitting in a chair or standing at a register all day. Repeat the same movement over and over again, and it will cost the body, usually in the currency of pain. Avoid this by changing your spectrum of movement, expand your focus and changing up your training. By doing so, you build your body in a healthy and challenging way. If you have a desk job or you stand all day, make sure to move every hour on the hour by simply moving around and stretching. Try reaching your arms up to the ceiling, attempt a standing back bend, or perform a deep squat. Keep the movement range comfortable for you and avoid going to the point of discomfort and pain. The idea is to remove yourself from the boxed position of sitting or standing as often as you can. Doing so can stretch out tight muscles and bring the legs and arms much needed circulation. Even just taking a walk to the water fountain helps alleviate some of the holding patterns of our extended time in certain positions. The fact is we need to move every joint in our body through the full range of motion on a daily basis. This is how your joints receive the nutrients and circulation to maintain optimal health. We all know what a rut is. Doing the same routine, is not only boring but it’s guaranteed to keep you repeating the same movement patterns that eventually box in the body. Try different activities and do something you enjoy. You can try a kick boxing class or even yoga. Not only will it move you outside of the box, it alleviates much of the tension we feel from daily stressors. Another way to add enjoyment to your activities is to take a Zumba class or any other dance oriented classes. You’ll be hard pressed to move your body in ways you didn’t think possible but you’ll have fun doing it. If you need more adrenalin pumping activities, try mountain biking, rock climbing or martial arts. Whatever comes to mind, try it. Trying new activities will not only challenge you physically but it’s also mentally refreshing, especially when you’re trying to learn new dance steps or a sport specific skill. You may even find you have more motivation for movement due to the new challenges the activity provides. I know that at first glance, this may seem contrary to what is so popular today, hours on the cardio machines plus hours in the gym. Even a variety of strength training programs can “box” in your movements. Let go of what you’ve done in the past and challenge your ideals of what it means to be healthy and fit. Avoid being boxed in at work and even more important at play. Once you begin moving in new and challenging ways, you’re going to look and feel years younger. Throw out the scale. Just throw it out. I know, I know. I’m being a bit over dramatic here so you don’t have to junk pile it, just give it away. O.k. Don’t give it away, but at least hide it in the closet so it’s out of sight and you won’t feel compelled to use it. You really don’t need it to reach your goal anyway. Reasons to get rid of your scale. We “diet” to “lose weight” and track weight loss by using a scale. We think the scale can accurately capture our progress. Unfortunately, it doesn’t. It’s neither a good indicator of fat loss nor does it give a good picture of your fitness level. If anything, it can add even more frustration to the process of losing weight. Duh, you know that already. There is one big problem with this. Losing weight doesn’t necessarily mean you’re losing fat. You could just be losing water or more importantly, you could be losing precious lean muscle mass. Losing lean muscle mass slowly decreases your metabolism over time, thwarting any attempts of accomplishing your ideal physique. If you take two individuals who both weigh 150 pounds but one has 10% body fat while the other has 20% body fat there is a drastic difference in how they look, even when they weigh the same. That’s why it’s more about how much body fat and lean muscle you have, the weight is irrelevant to how you look and feel. Less body fat and more muscle is your way to a better physique. Have you ever followed your diet program to the “T” only to step on the scale at the end of the week and find that you’ve gained weight? If you’ve experienced this before then you know how frustrating it can be. If you’re not losing weight why bother? Right? Before you give up consider this, your fluid levels fluctuate based on the needs of your body. If you dropped 7 pounds in one week there’s a good chance a large portion of that weight loss was water, up to 6 pounds. As a result, your body must now retain more of the water you drink to make up for all fluids lost from the previous week. 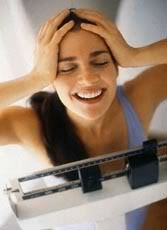 We then see little to no change on the scale or in some cases weight gain. You can follow your diet and do everything right but still not lose weight. There are numerous variables that can have a big impact on your body weight. When you take into consideration the time of day, the amount of food you may have just eaten, sodium intake from the previous and current day, carbohydrate intake, scale calibration, water retention and muscle gain you can begin to see how little control we have on accurately measuring our body weight at any given time. That’s playing a high stakes game with your frustration levels so avoid this mental setback by avoiding the scale all together. Here’s something you can be more confident about. Focus your energy and time on creating the behaviors that move you toward improving your health and sculpting a better physique. This can be done by eating 5-6 small meals per day, going shopping for fresh fruits and vegetables 2 times per week, walking 30 minutes every day, eating 5-7 servings of fruits and vegetables, or resistance training three times per week. You’ve got to track your action steps to see change. Instead of using a scale to measure body weight, focus your time and energy using a food diary or work out log. You’re now taking actual steps by creating certain behaviors or habits in your daily routine to help your body lose fat and improve your health. Let your coach track your progress with your full physical measurements. He or she will have an accurate and in depth look to continuously assess your fitness program. Your coach can then make the necessary adjustments to your nutrition or change your exercise regimen for your desired results. So ditch the scale and let your coach focus on the game plan while you focus on taking consistent action. It’s what makes the whole thing work without all the extra frustration. P.S. Let me know what you think in the comments section below. Can you do it with out a weight scale? or do you absolutely need one?